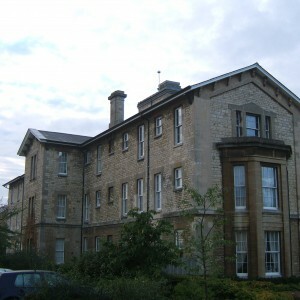 Oxford’s first lunatic asylum had been built as early as 1826 as the Radcliffe Asylum in Headington which was supported by charitable subscription and whose clientele was intended to be the middle and professional classes, although limited funds were available for those in financial difficulties pauper inmates were not generally accommodated. 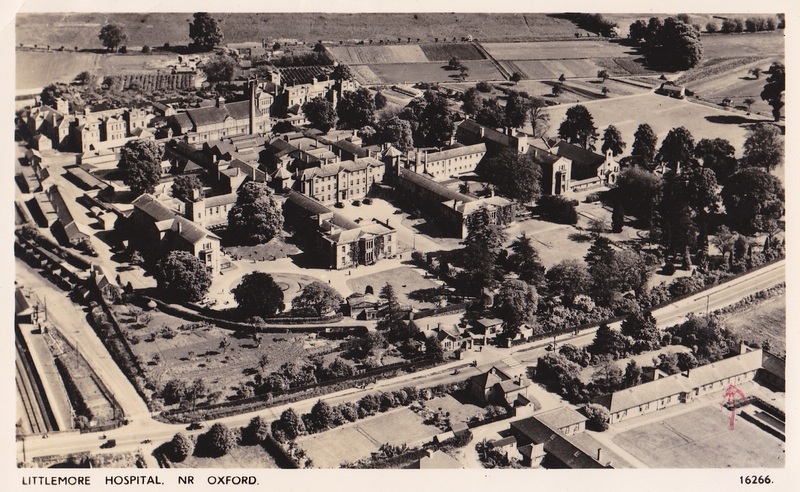 The City and County of Oxford therefore proposed to provide their own pauper asylum for the purpose of treating the insane under their charge and from 1840 planning commenced. 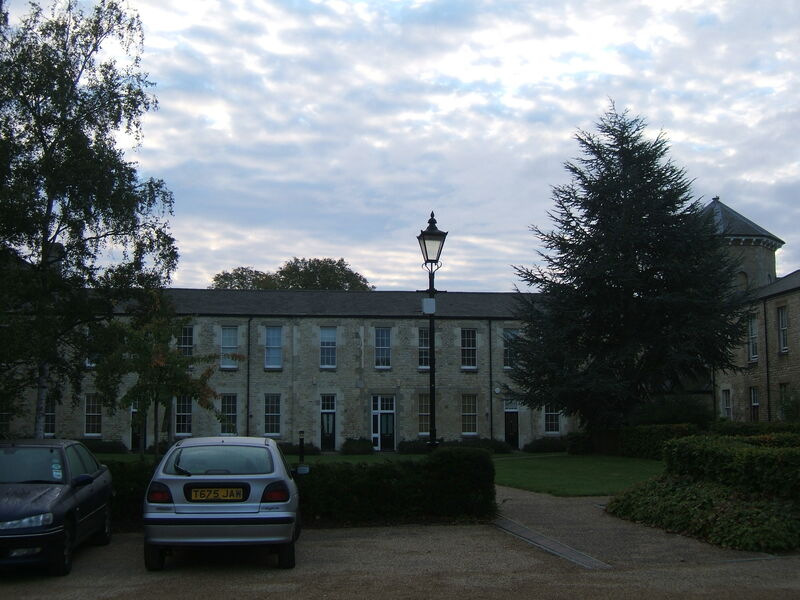 By 1843 a site had been purchased on land east of the road between Littlemore and Sandford on Thames, 3 miles south of the city itself. 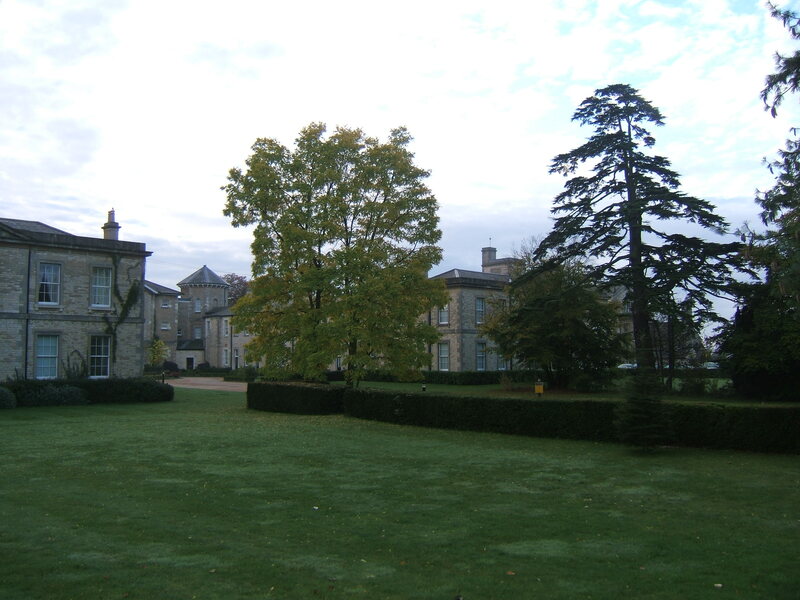 The land was formed of farmland and even to the present the area to the south remains predominantly rural. 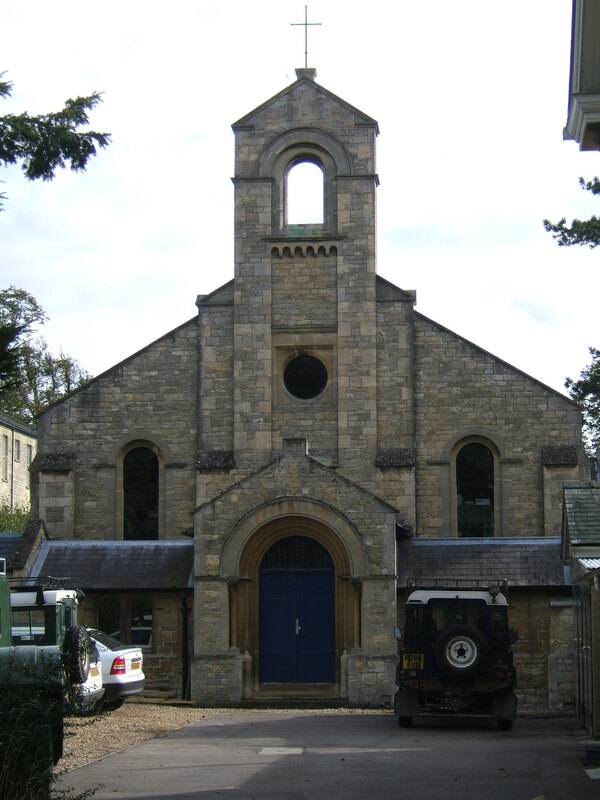 The initial plans were developed by a Nottingham Architect, Robert N. Clark, and executed in grey limestone rubble. 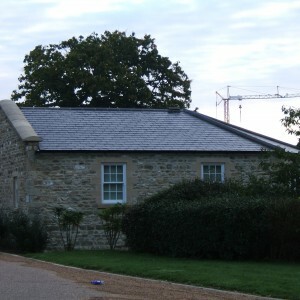 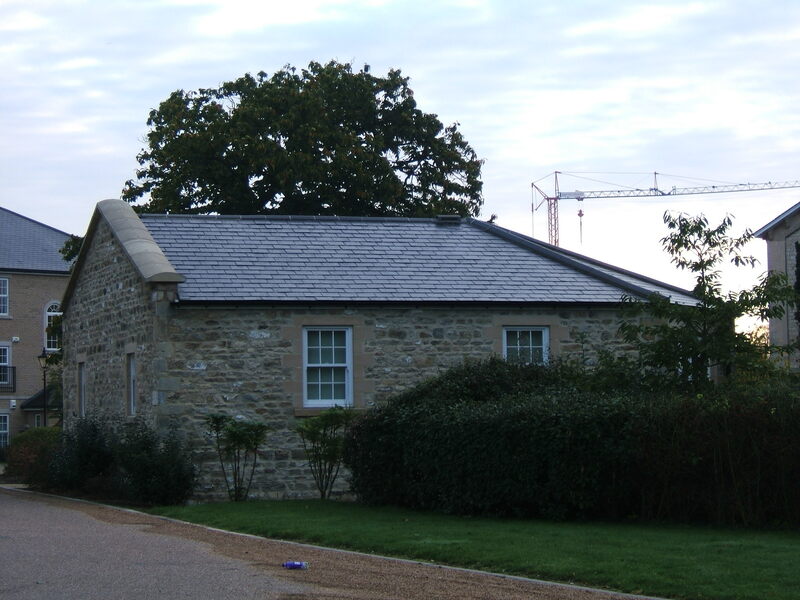 Roofing was of slate on shallow pitched roofs. 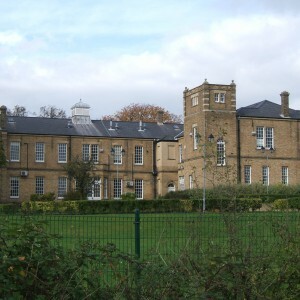 The plan adopted was of the double cruciform type similar to that used in the earlier asylums of Wakefield, West Riding (1818) and Hanwell, Middlesex (1831). 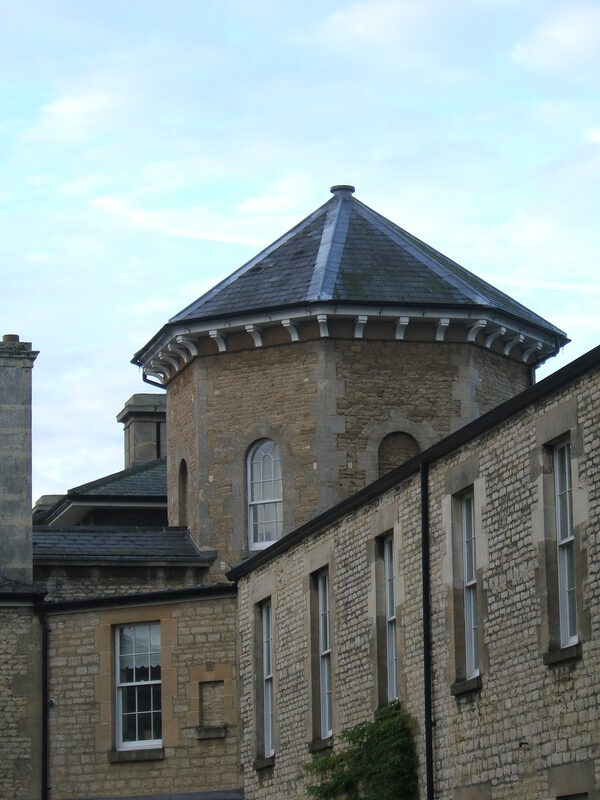 The plan featured a layout based on supervision of inmates, made practical by a hub on each side from which the wards radiated in three directions with the forth forming the central administrative section. 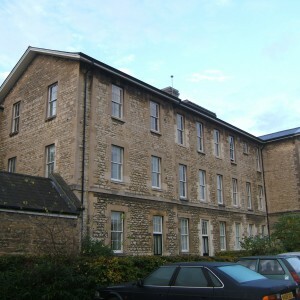 This central block provided the home of the medical superintendent, chapel, committee rooms and also enabled the effective separation of the male and female sides of the hospital. 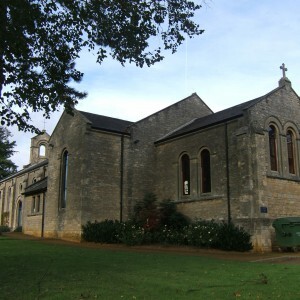 Within the grounds a burial ground was commenced although not actually consecrated until 1882. 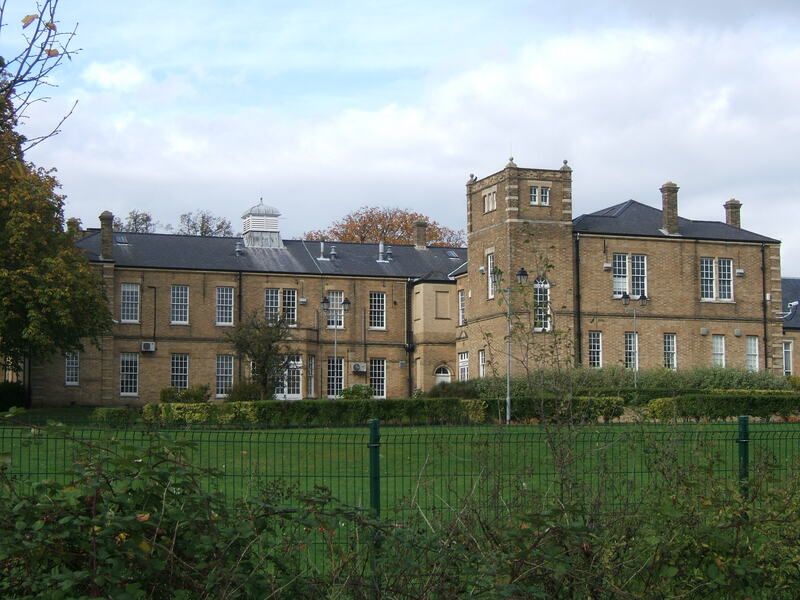 The asylum was opened on 1st August 1846, one of the earliest to follow the County Asylums Act of 1845, which recently had come into law. 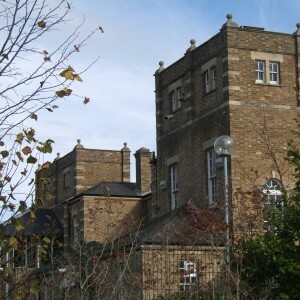 Although not constructed under the County Asylums Act, it was to have an important effect on the administration of the institution. 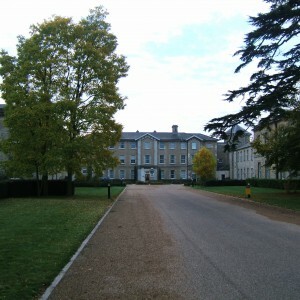 The neighbouring county of Berkshire had up to this time no means of providing an asylum for lunatics in their care and were required by the act to do so as soon as was feasible. 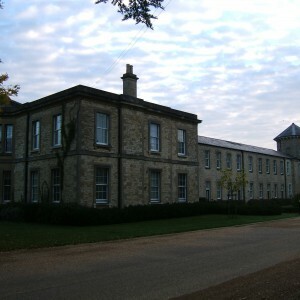 Oxfordshire agreed to combine with Berkshire to accommodate the latter counties inmates at the Littlemore Asylum and in 1848 a further building program was commenced to the designs of Oxford architect Henry Jones Underwood. 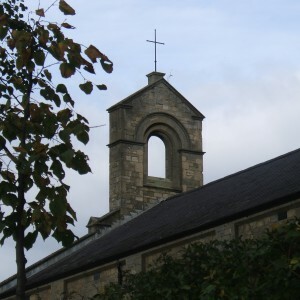 These new structures were positioned at the extremities of the north and south ends of the existing outer ward spurs and were spread over three storeys. 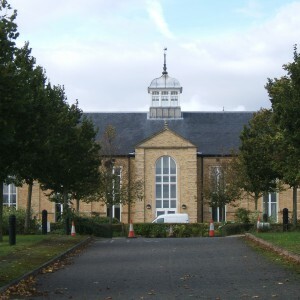 Each new block was constructed in similar style and materials to the existing complex and featured distinctive overhanging eaves at the roof. 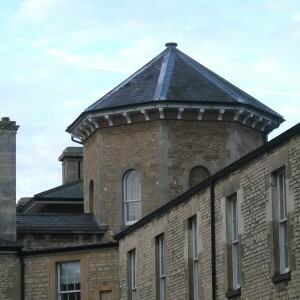 A tower was located to each side, containing a water tank to provide a useful head of water. 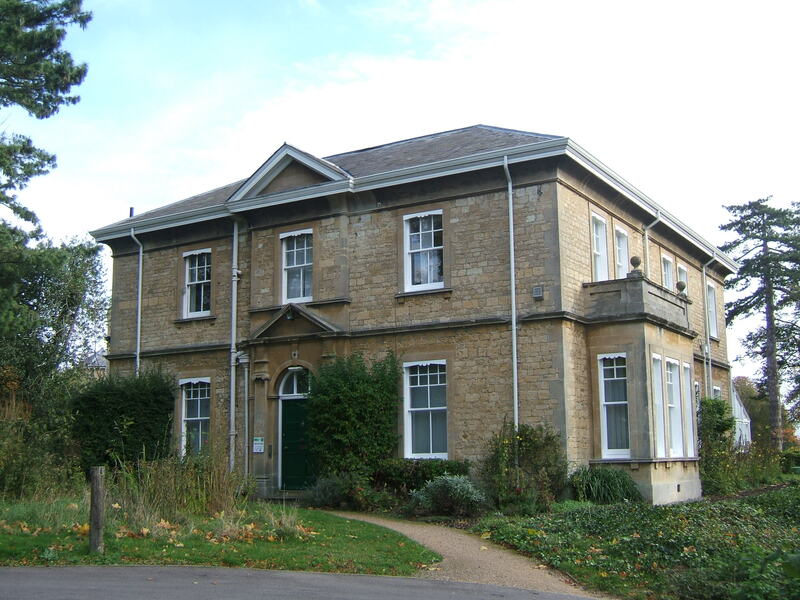 Elsewhere within the grounds and opposite Heyford Hill Lane, a private residence dating from 1810, known as the ‘Dool House’ was purchased for a residence for the Chaplain. 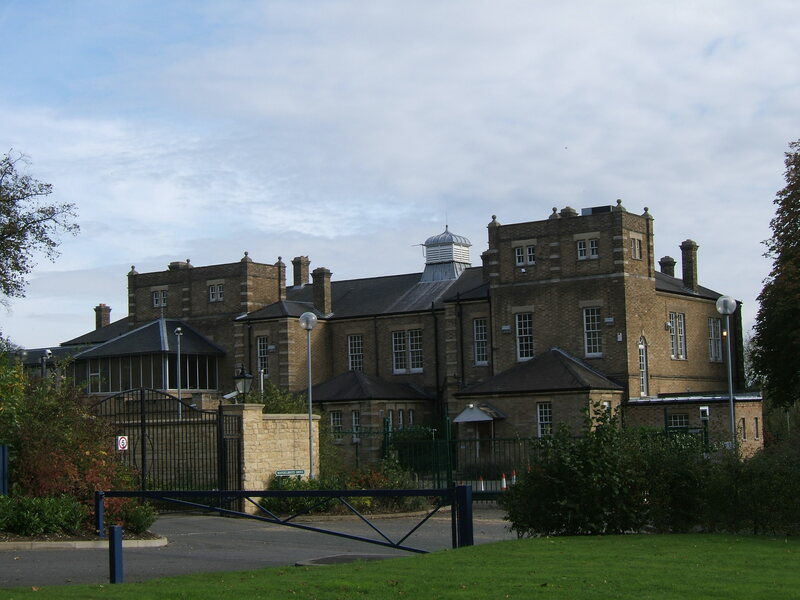 By 1852 whilst the extensions were being completed Underwood committed suicide aged 48 years and his outstanding works, which included additions to Oxford Prison were passed to John Chessell Buckler. 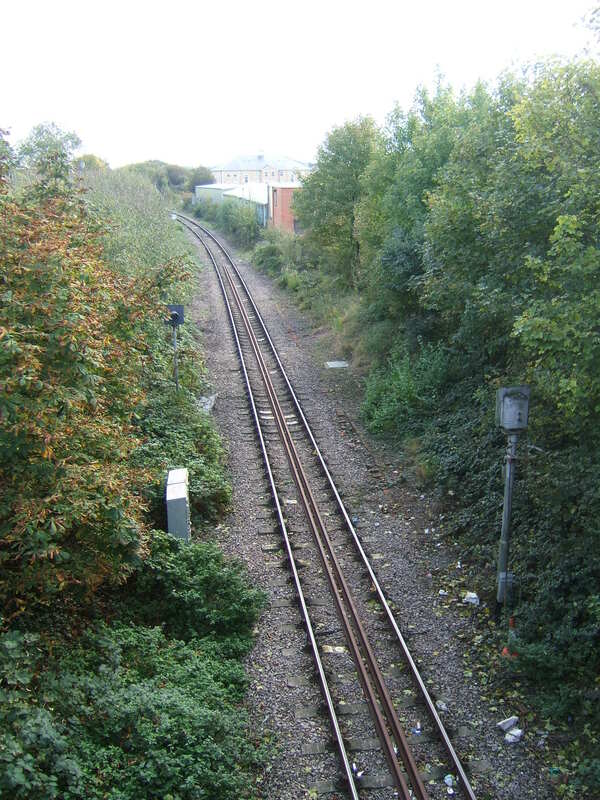 During the early 1860’s the Wycombe Railway purchased land alongside the north eastern boundary of the asylum on which to build a line between Kennington Junction in Oxford and Thame, thereafter separating the grounds from the village. 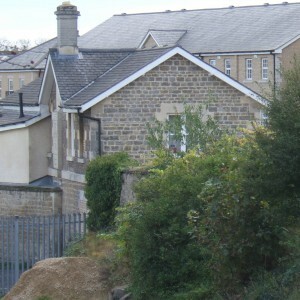 A station was opened with the line in 1864. 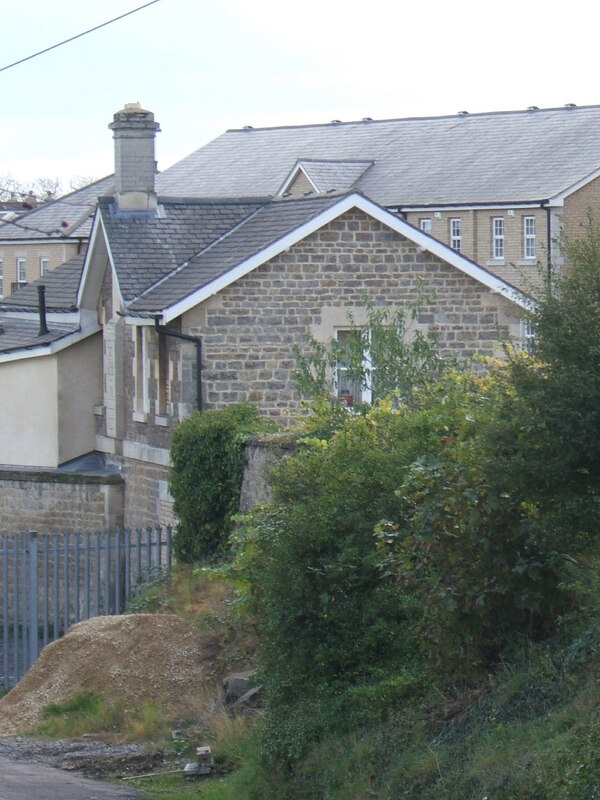 Access was convenient for visitors to the asylum as well as for the delivery of goods, although it was also necessary to construct a boundary wall in 1870 and access was thereafter afforded via a lodge opposite the station. 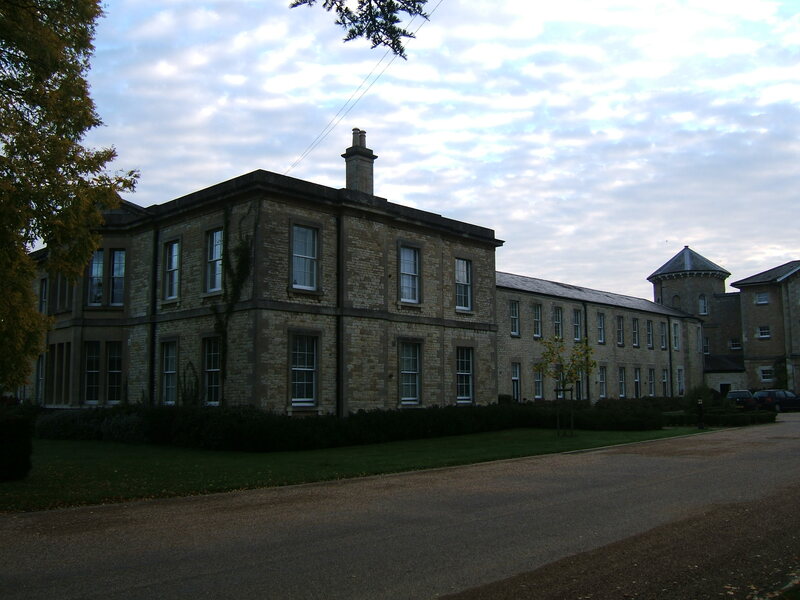 The arrangement with Berkshire and it’s constituent Boroughs ceased in 1870 and from September that year those inmates were transferred to the new Moulsford Asylum near Wallingford. 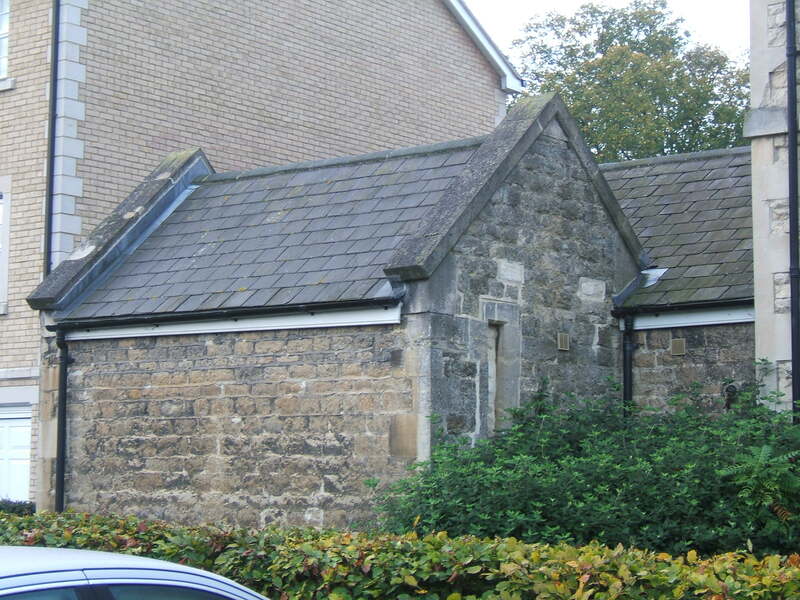 In 1882-3 a new, detached chapel and separate house for the superintendent were built adjacent to the women’s wing and were connected to it via a covered way. 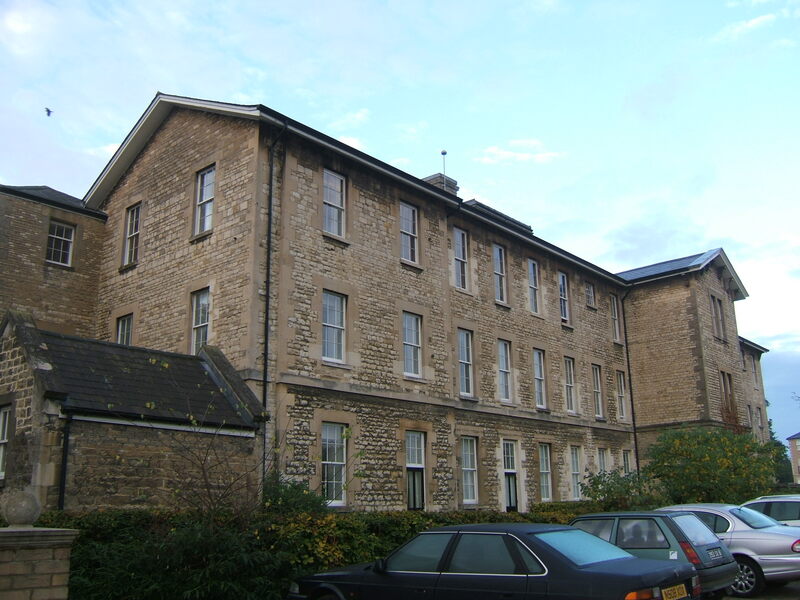 The adjacent three storey ward block was devastated by fire on 15th April 1895, entirely gutting the uppermost floor, made worse by a delay in the arrival of the Oxford fire brigade due to the inability of the crew to locate horses to pull the engine. 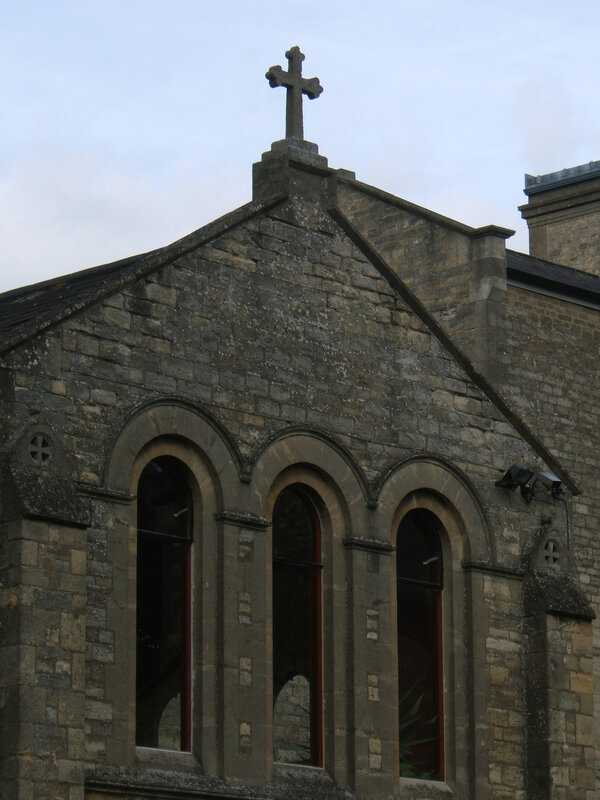 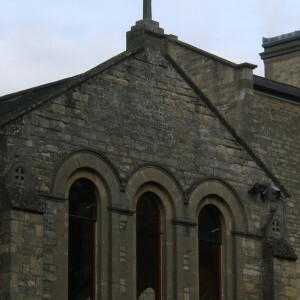 The damage was rectified and the ward was returned to use but the roof was rebuilt without the characteristic overhanging eaves and with a parapet at the gable end. 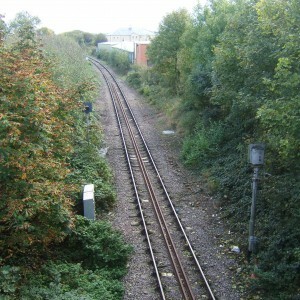 Further expansion took place in 1898 with extension of the burial ground alongside the railway line, the original cemetery space having been filled. 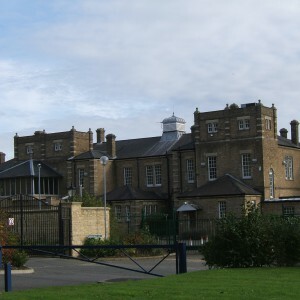 Close to this area, between the main building and gas works, reservoir and engine house complex a new complex of wards was constructed in 1902. 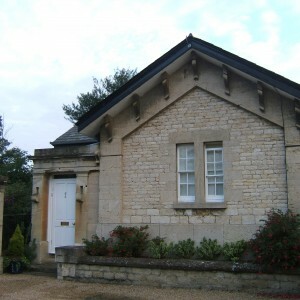 This consisted of two pavilion blocks, one for each gender and located either side of a recreation hall. 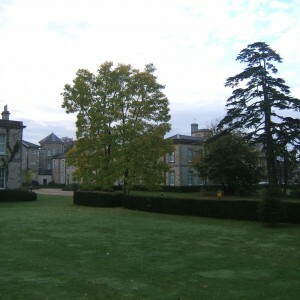 This structure was linked on either side of the hall to the rest of the main complex by a pair of sloping corridors, graded steeply due to the lie of the land in this part of the grounds. 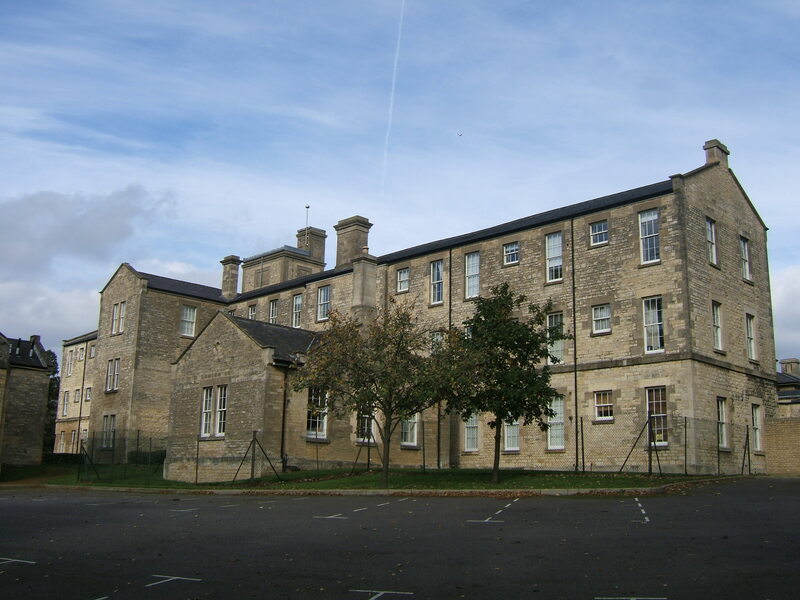 Across the Sandford Road from the main entrance and lodge, a new Isolation hospital was constructed consisting of a small series of buildings which included male and female wards and a two storey central staff and services block. 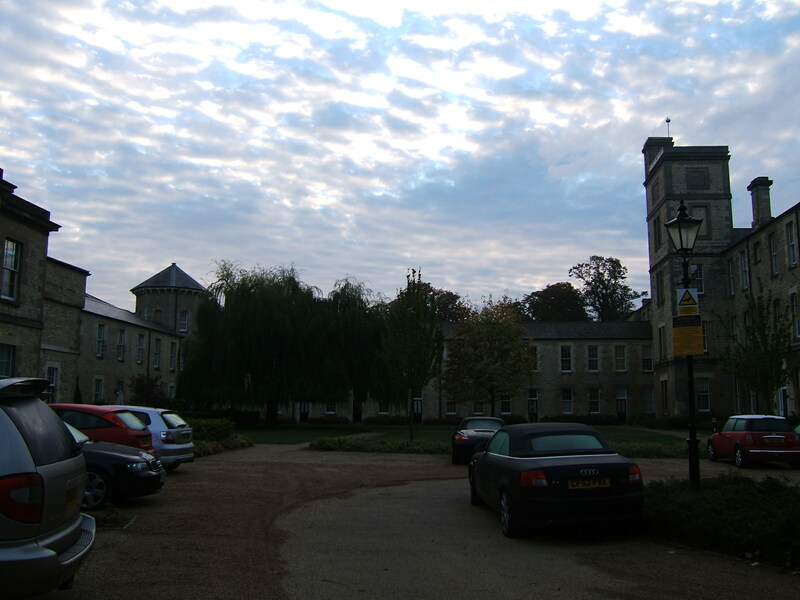 The area had previously contained only a small farmstead, which predated the construction of the asylum itself. 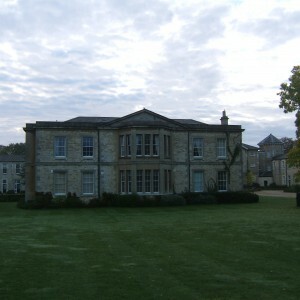 The Oxfordshire county surveyor Henry John Tollitt was responsible for this phase of extensions, which attempted to emulate the existing buildings but constructed in yellow brick rather than stone. 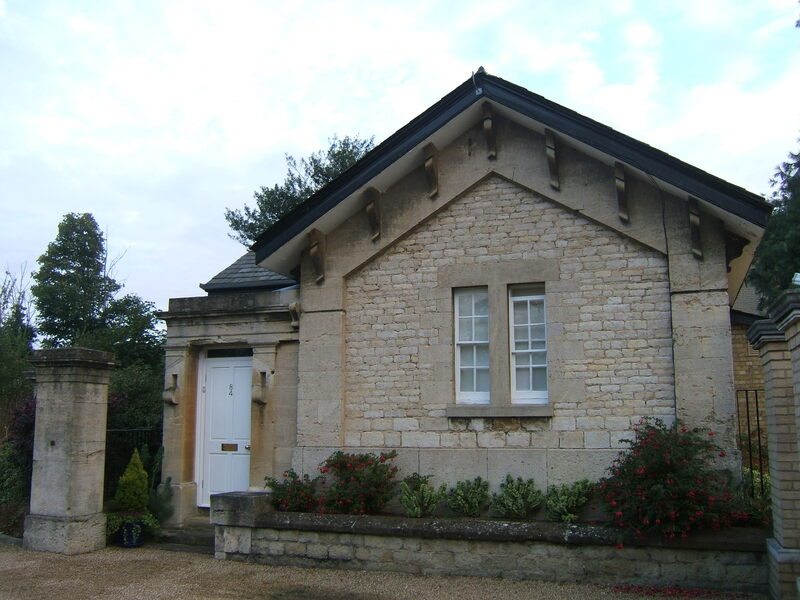 Windows were large multi paned double hung sashes under stone lintels. 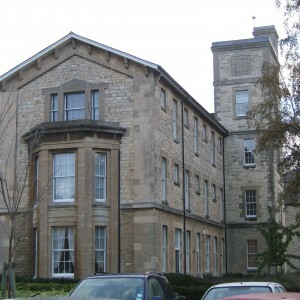 Minimal decoration was supplied in the form of quoins at the cormers of the buildings and a stubby tower on the staff block of the isolation hospital reminiscent of those on Underwood’s extensiosn of 1847. 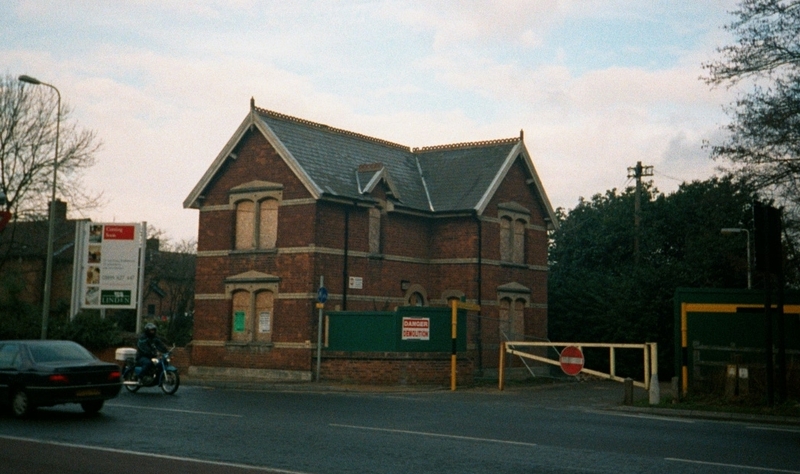 A lodge cottage was provided for the isolation hospital soon after, from 1904. 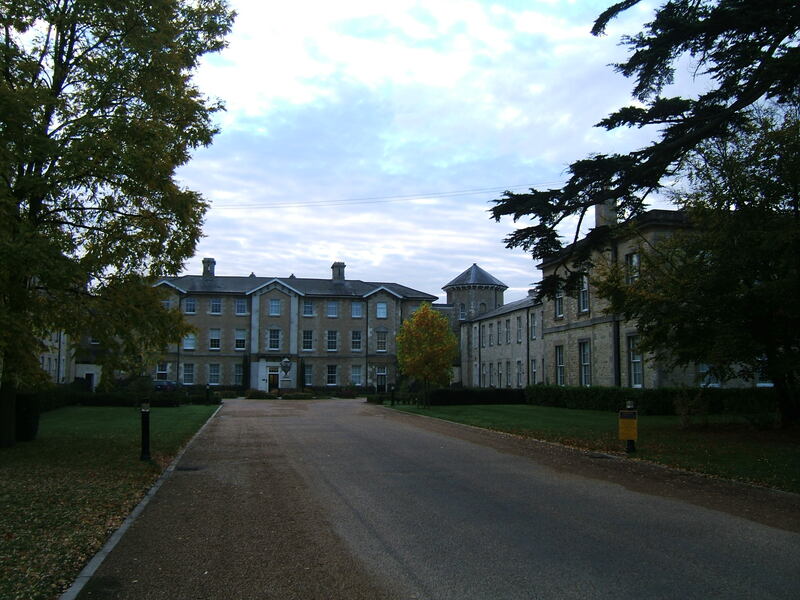 During World War I, the Oxfordshire County Asylum initially followed the path of most other English asylums in so much as inmates were received from certain institutions in neighbouring counties and many of the male attendants were called up for military service. 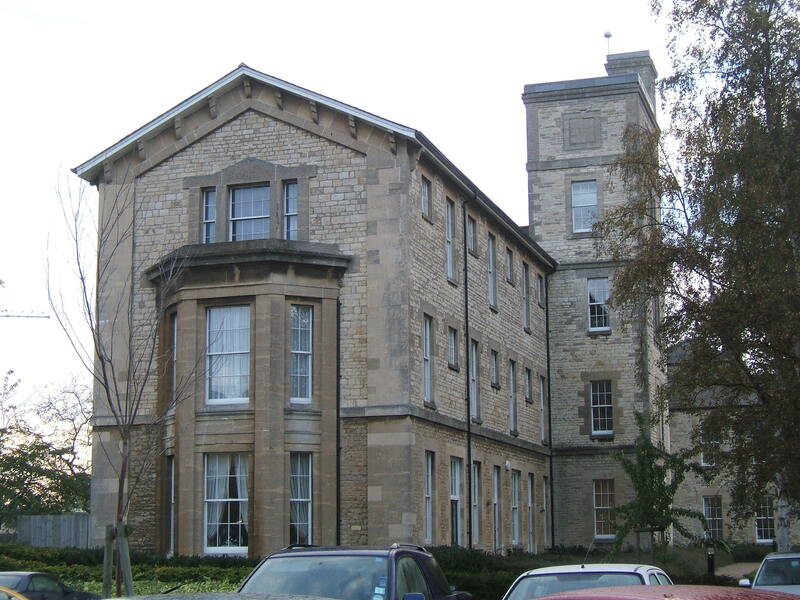 Things were to change from May 1918 when the asylum was also turned over to the military and the patient population transferred elsewhere. 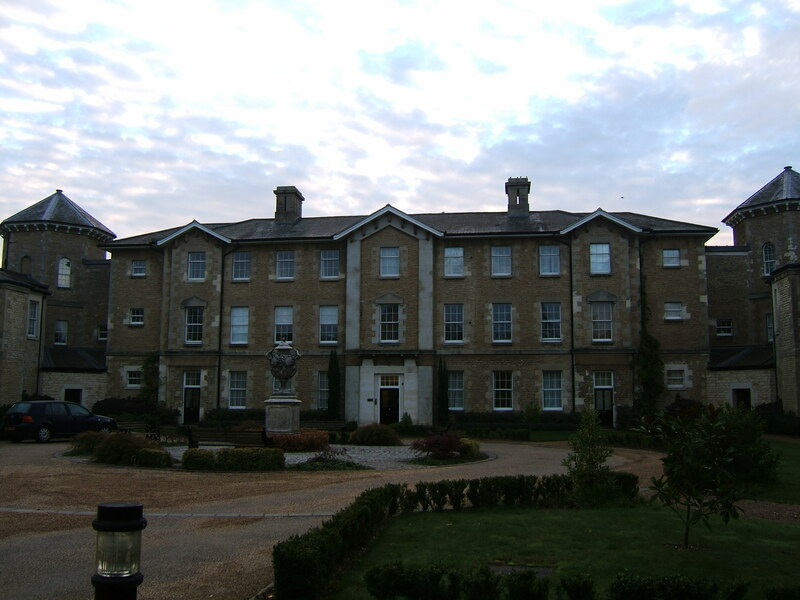 As the Ashurst Military hospital, the asylum operated until August 1922 when it was once again returned to the City and County authorities. 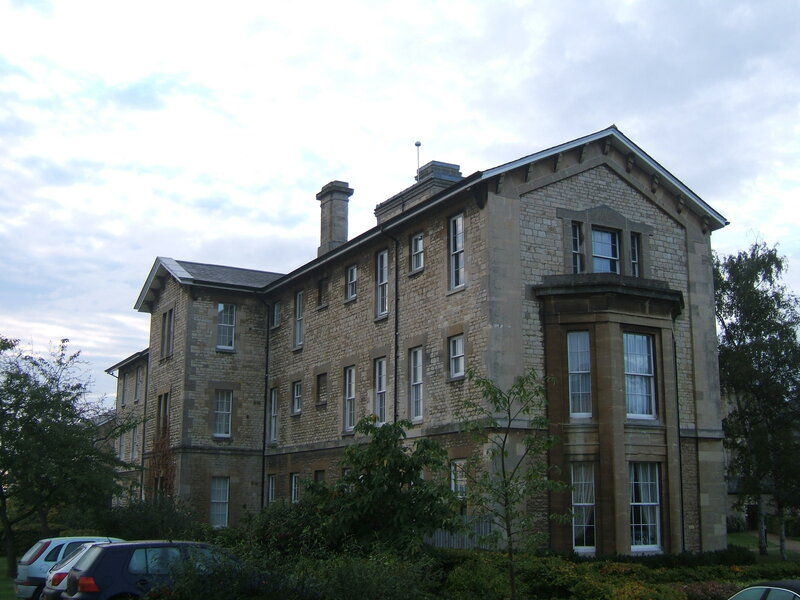 From this time on the hospital was renamed the Littlemore Hospital to distance the institution from the negative associations of the term asylum. 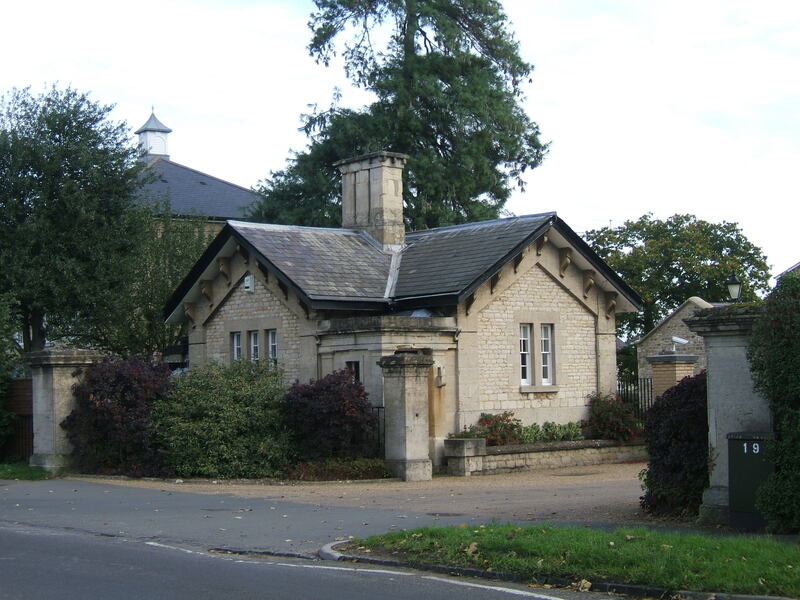 Semi detached cottages for 20 married attendants were built on the south side of Heyford Hill Lane in 1927 to supplement a single storey complex of female nurse’s rooms forming a courtyard around the isolation hospital. 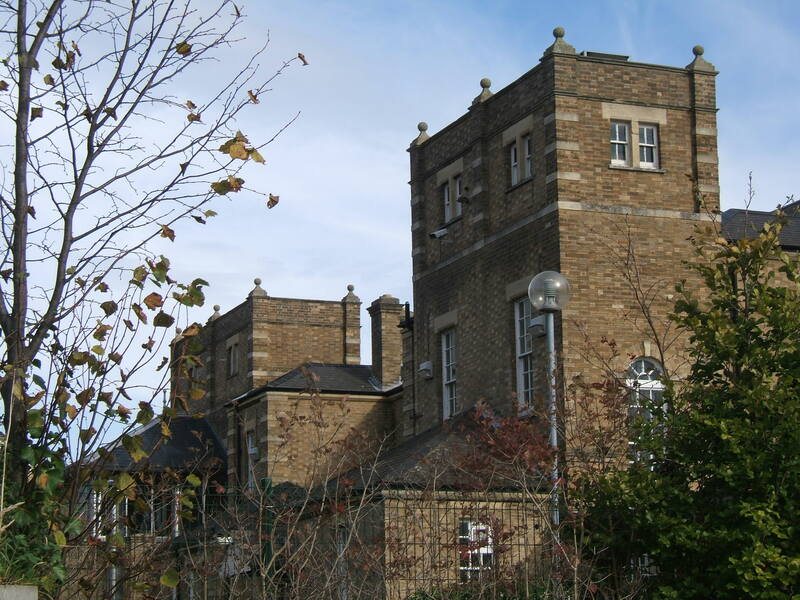 The nurse’s complex, built cheaply was to have a brief existence with a dramatic end. 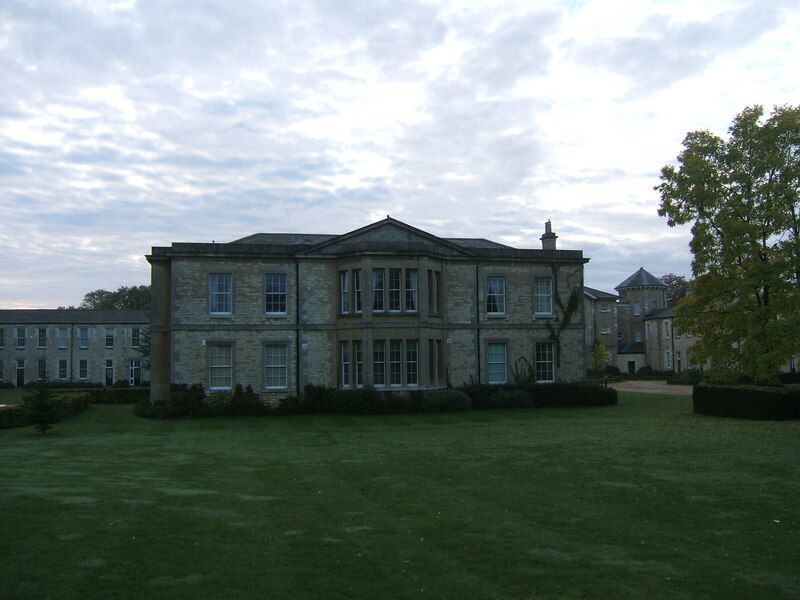 On 29th August 1929 the home was destroyed by fire, the cause of which has remained unclear, but fortunately there were no fatalities. 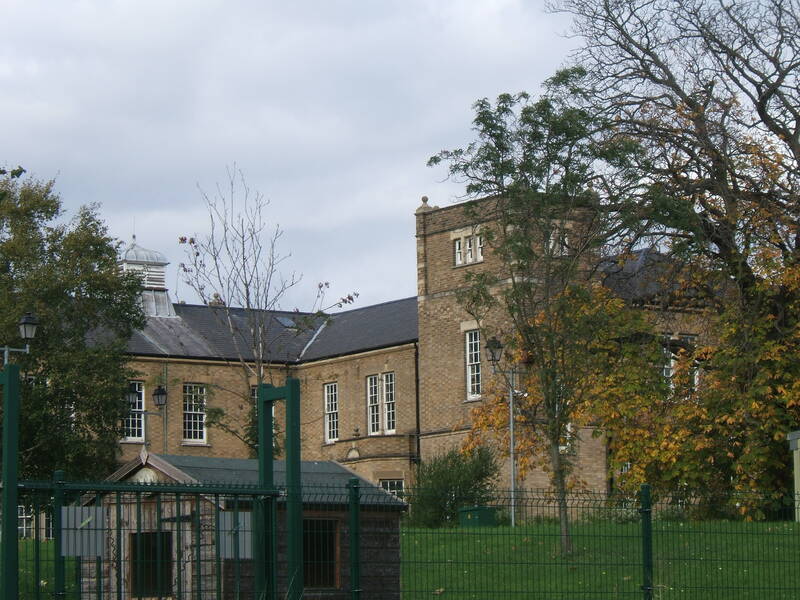 The replacement facilities built in similar style but more durable material were rebuilt in 1930. 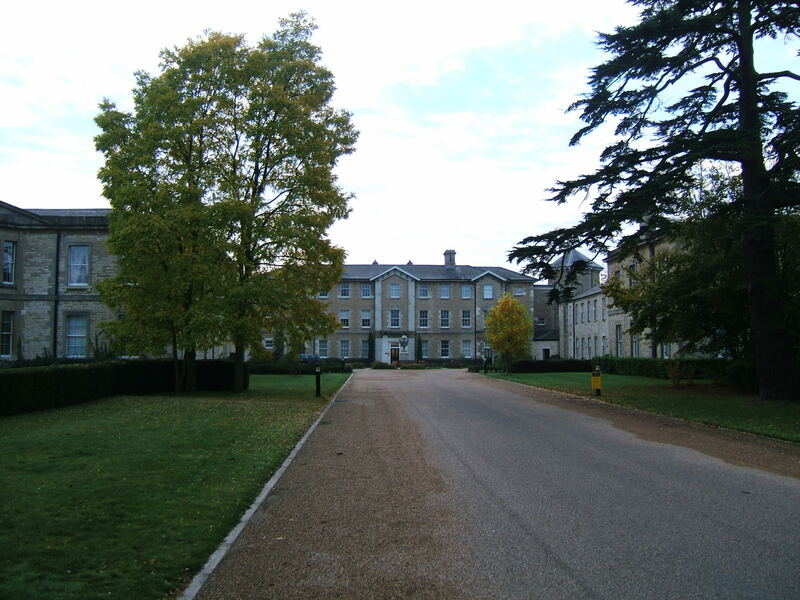 Oxfordshire and Berkshire were to once again join together for the development of a new mental deficiency colony at Checkendon. 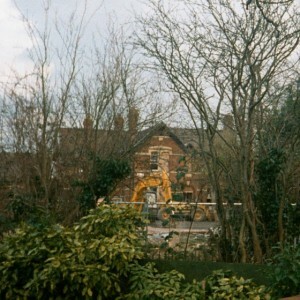 The premises took over a private estate, Wyfold Court, and patients considered to be appropriate were transferred there. 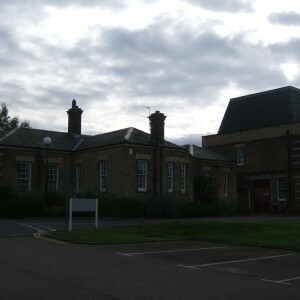 World War II brought about a return to military use, albeit to a smaller degree with the easternmost pavilions of the hospital and adjacent recreation hall turned over to military use. 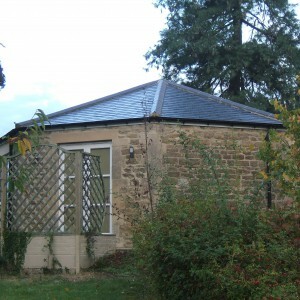 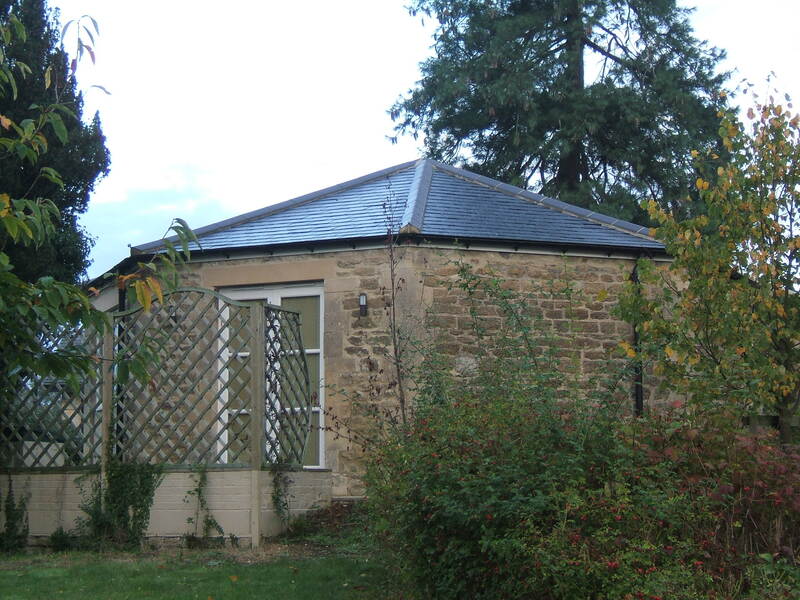 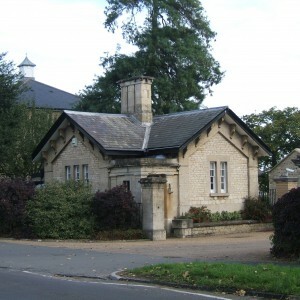 A new gate lodge was constructed opposite the original in 1940 to provide added security at the entrance to the main grounds. 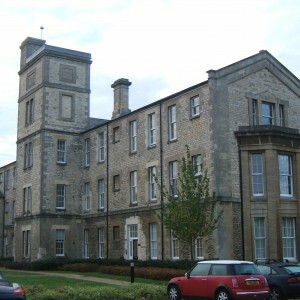 The national health service came into being in 1948 with Littlemore automatically forming a constituent part of it’s mental health services along with other county and borough owned healthcare facilities as well as Warneford Hospital, who chose to join rather than face substantial increases in fees. 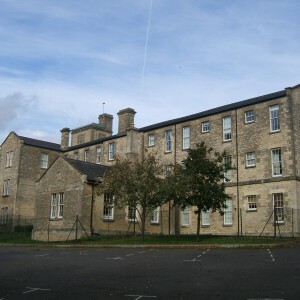 Bradwell Grove Hospital, a former WWII army camp near Burford was turned over for use by subnormality services of the area, although managed until 1960 by the Pewsey Colony, Wiltshire. 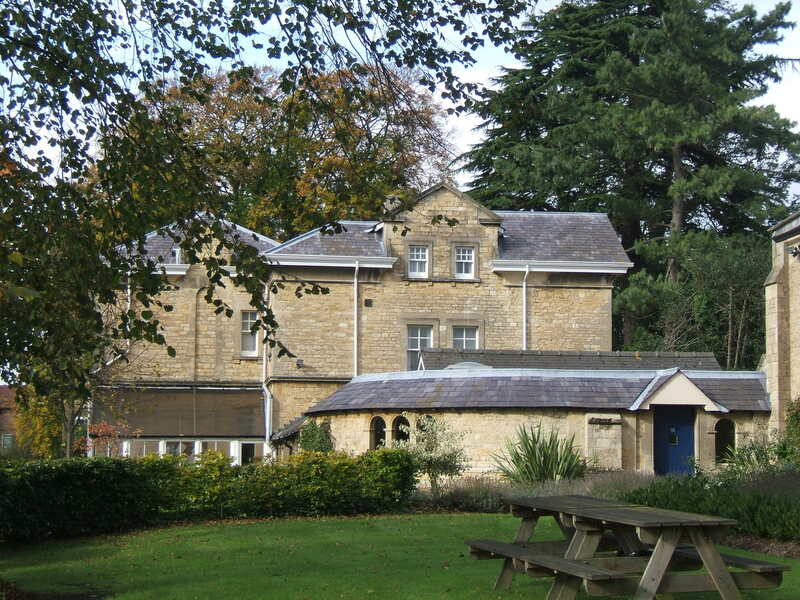 Littlemore also took on joint responsibility of the former Cold Arbour Isolation Hospital with Cowley Road Hospital as a new unit for the care and rehabilitation of psychogeriatric patients, this became the Rivermead Rehabilitation Centre after 1956. 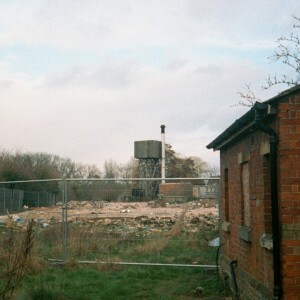 New developments also took place on the Littlemore site itself with the majority of the new buildings taking place on the eastern side of Sandford Road. 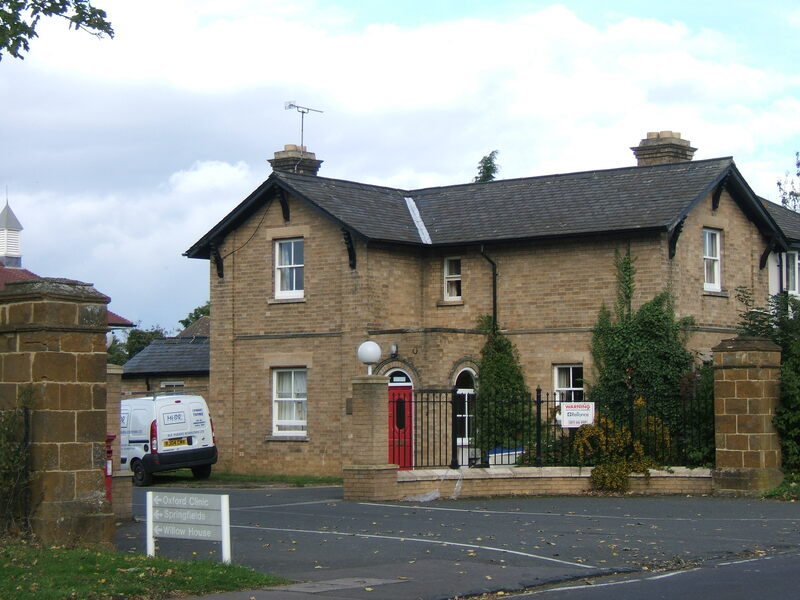 A new admission and treatment centre, the Ashurst Clinic was opened in 1956 south of the former isolation hospital. 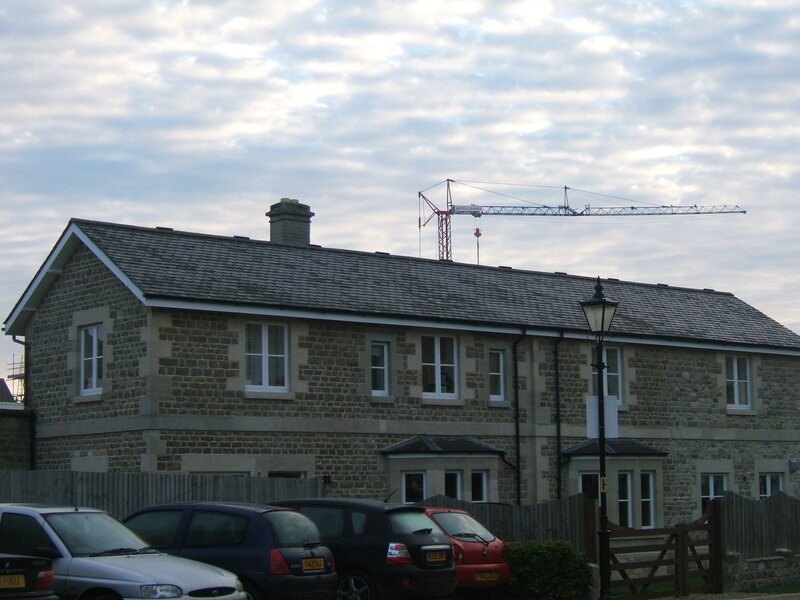 A new two-storey nurse’s home was constructed along with a crescent of semi-detached houses. 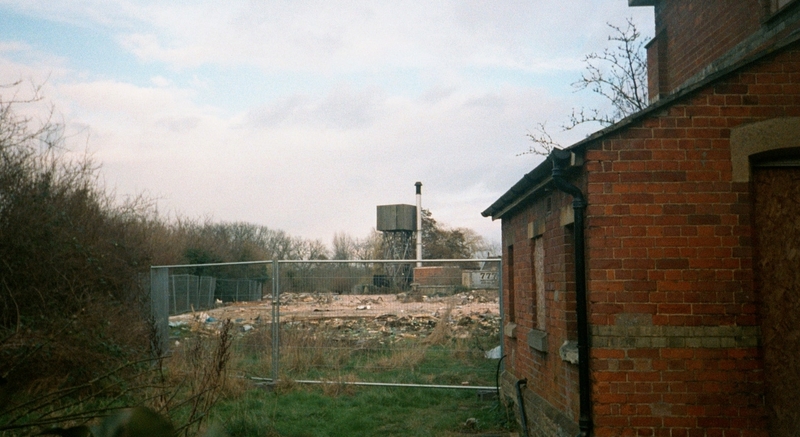 A further 20 houses and two blocks of garages were subsequently built opposite the originals in Heyford Hill Lane. 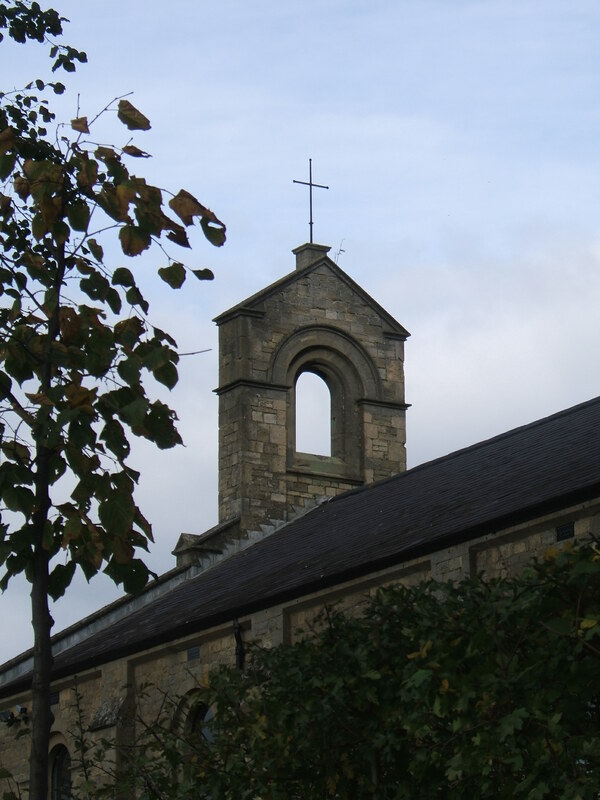 Elsewhere in the site the burial ground was closed in 1954 having had 1,800 interments over the course of its use. 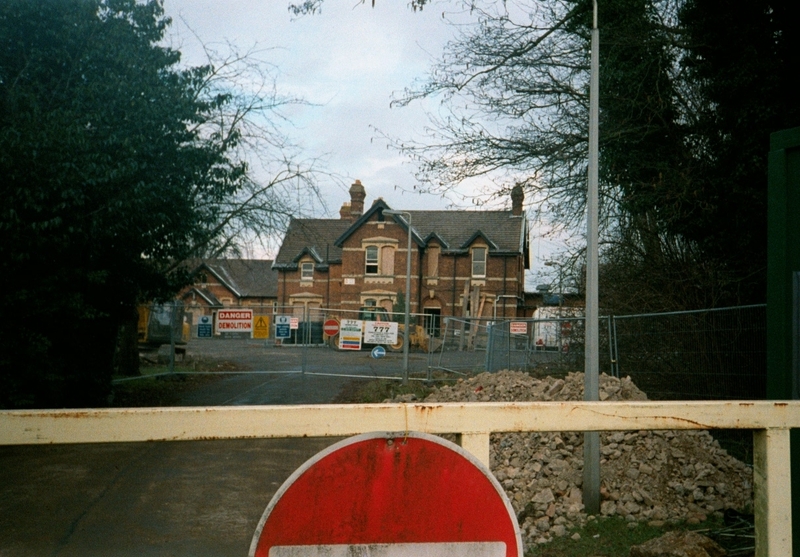 Littlemore station alongside the asylum was closed to passengers from the 7th September 1963 and although the buildings were eventually demolished the track remained in place for freight use. 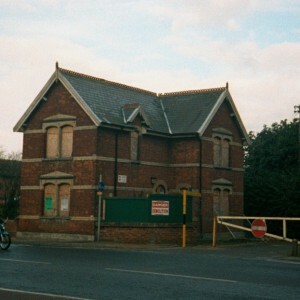 On the other side of the grounds the development of a new link road, the A329 Trunk Road, saw the demise of Dool House, which had become a staff hostel as the new road ran through its site. 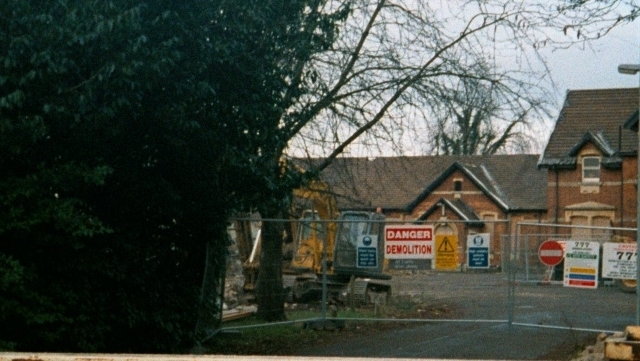 The new road then ran between the houses on Heyford Hill cottages and the Ashurst Clinic before forming part of the new ring road near Rose Hill. 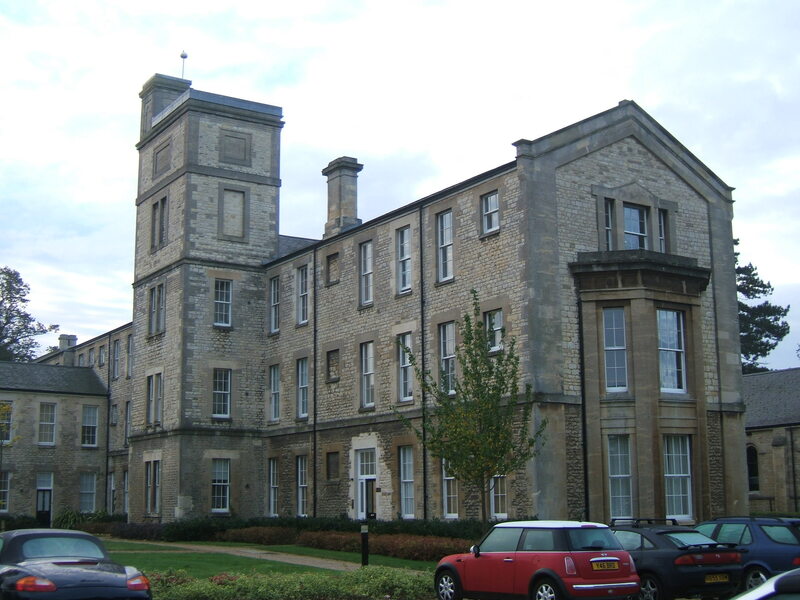 From 1968 Littlemore and Warneford Hospitals were jointly managed under the Isis Hospital management committee, replaced in 1974 by the Oxford Area Health Authority. 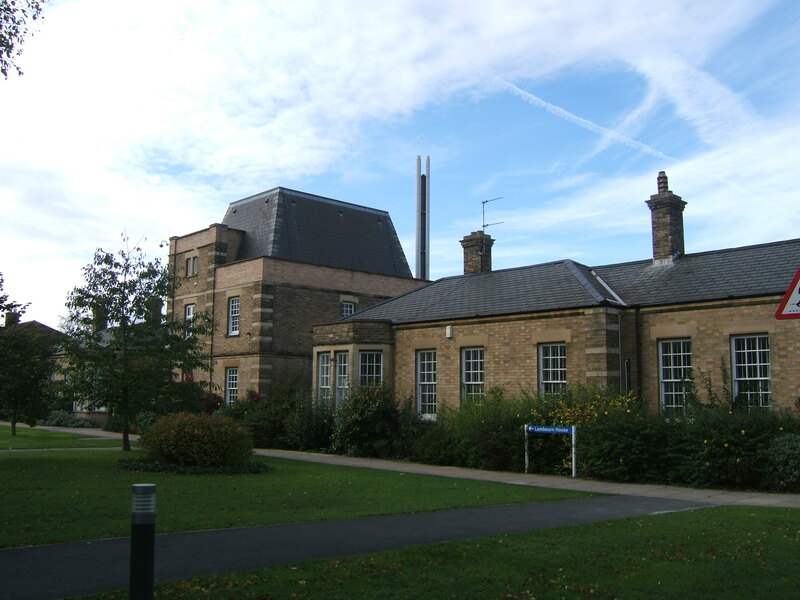 Many of the specialist services were from this time concentrated at the Warneford, including the Park Hospital for Children although a new substance abuse service was created at the Ley Clinic in 1970, named after Littlemore’s first superintendent. 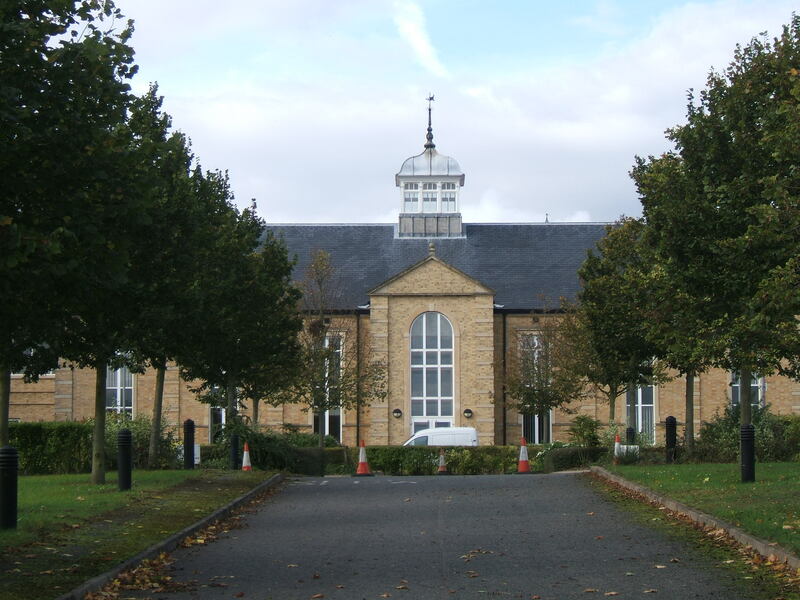 Littlemore retained the bulk of the long stay, elderly and rehabilitation services not transferred to Rivermead. 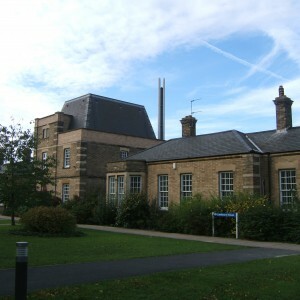 The hospital’s main boiler house was replaced in 1973. 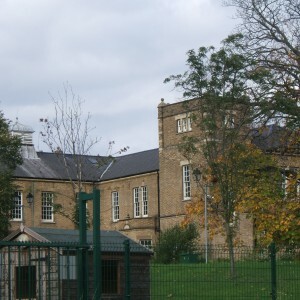 Littlemore in common with most former county asylums entered a process of retrenchment during the 1980’s during which services gradually retracted from the buildings to the east of the main site first. 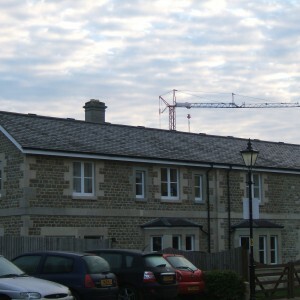 With changes to NHS housing conditions, Littlemore was criticized in the national press over the upkeep of their housing properties, featuring the plight of the tenants of one of the older houses in Heyford Hill Lane who were facing substantial rent increases whilst experiencing damp and substandard accommodation. 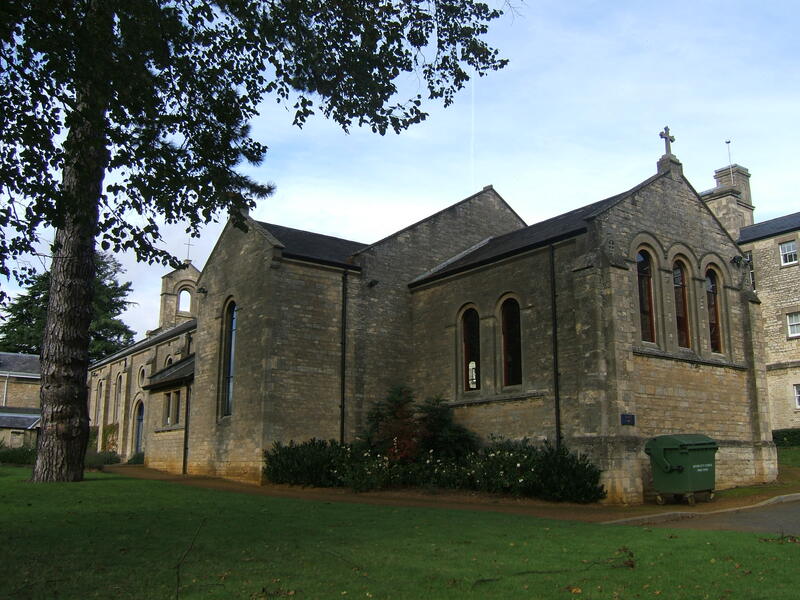 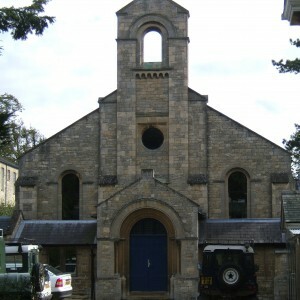 The chapel was closed and relocated within the main building in 1988. 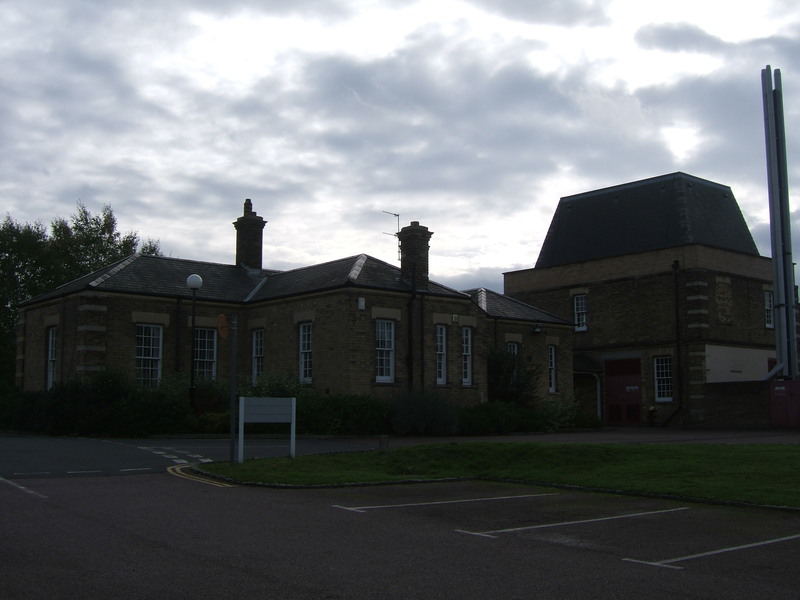 The rear blocks, recreation hall and surrounding area were sold to Yanamouchi Pharmaceutical around 1991 who rebuilt the recreation hall, until that time used by Oxford Snooker Club, and converted one of the ward blocks to a research establishment. 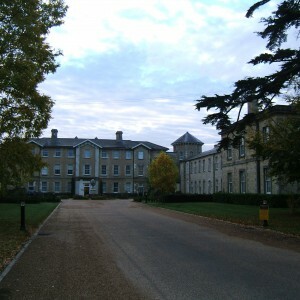 Elsewhere in Oxfordshire, Bradwell Grove was closed in 1986, with Borocourt following in 1993 and with the closure of the former, most inpatient learning disabilities services were transferred to the old Slade Isolation Hospital on Horspath Driftway, Oxford. 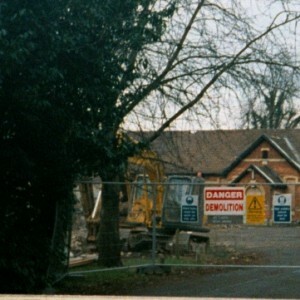 The main Littlemore site closed in 1998 with the majority of patients transferred to community settings or nursing home care. 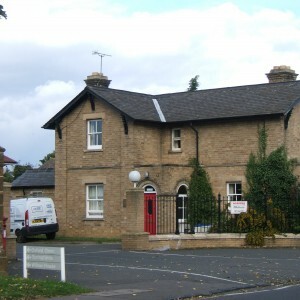 The remaining departments including secure and specialist facilities were located on the west section of the site across Sandford Road, which became the Littlemore Mental Health Centre. 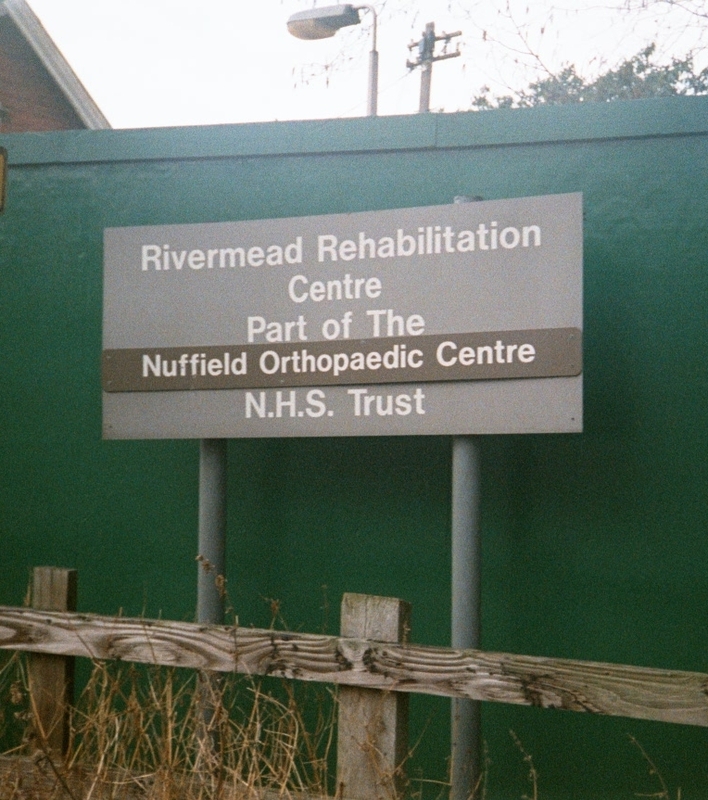 Rivermead Rehabilitation Centre, having long lost its main mental health services in favour of orthopaedic services, followed shortly afterwards in 2002. 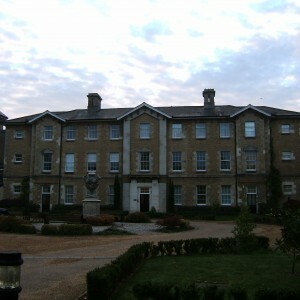 Littlemore hospital’s main complex was converted to a gated housing complex as St. George’s Park after closure, which saw conversion of the majority of victorian buildings, with new build restricted to the rear of the main block only. 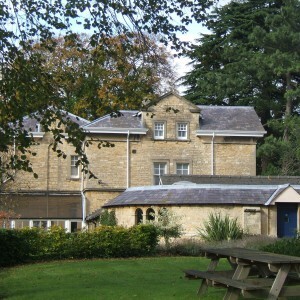 The grounds incorporated many of the existing buildings including the main and station lodges, chapel and the former superintendent’s house. 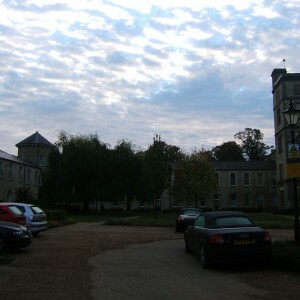 The main access road, Mandelbrote Drive was named after the last hospitals Superintendent Dr. B.A. 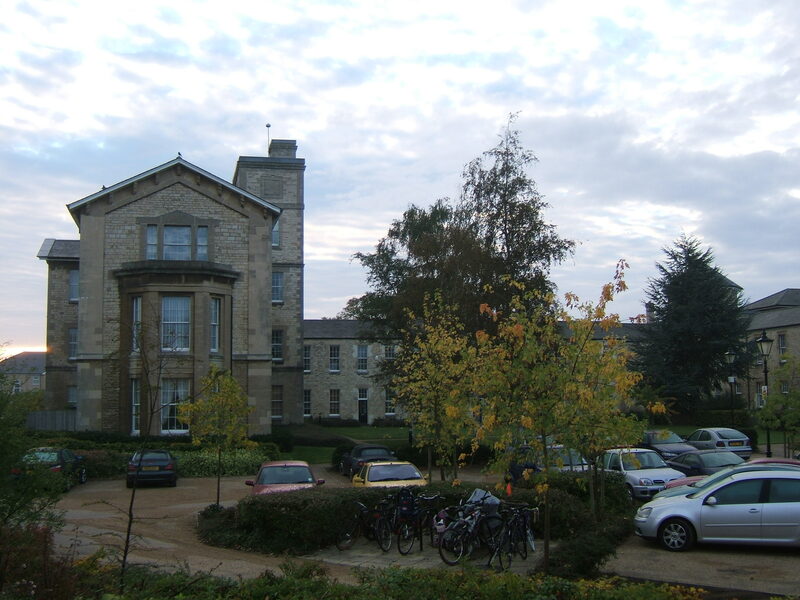 Mandelbrote, whilst to the south, Armstrong Road was named for his predecessor Dr. R.W. 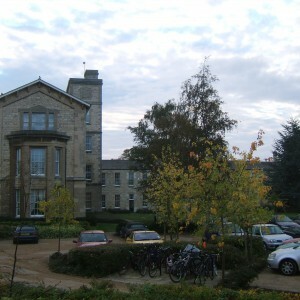 Armstrong. 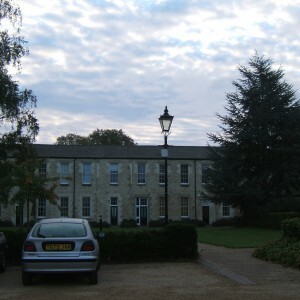 To the east of the main building, Yamaouchi Pharmaceuticals have vacated their premises, which have been used by the SAE institute’s Oxford Campus since 2008. 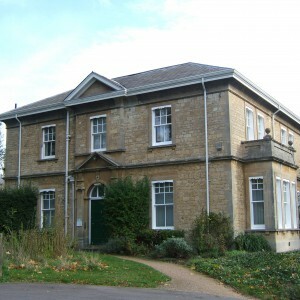 The former superintendent’s residence has become the headquarters for the areas wildlife trust. 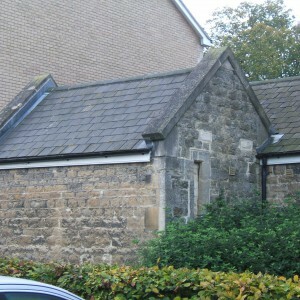 The detached chapel has also survived alongside. 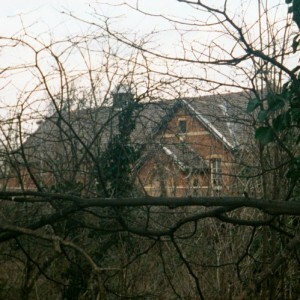 The burial ground, disused since 1954 is presently completely overgrown. 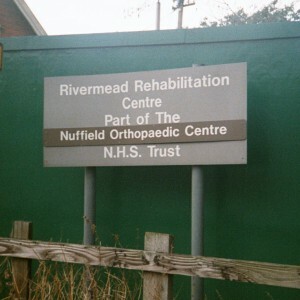 Rivermead Rehabilitation Centre remained in use having been transferred to the Nuffield Orthopaedic Centre NHS Trust until services were transferred to that trust’s main site in Old Road, Headington when it was rebuilt. 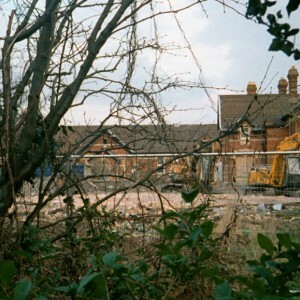 The site was cleared in 2004 and only the lodge cottage remains, with the rest of the site occupied by apartment blocks and houses. 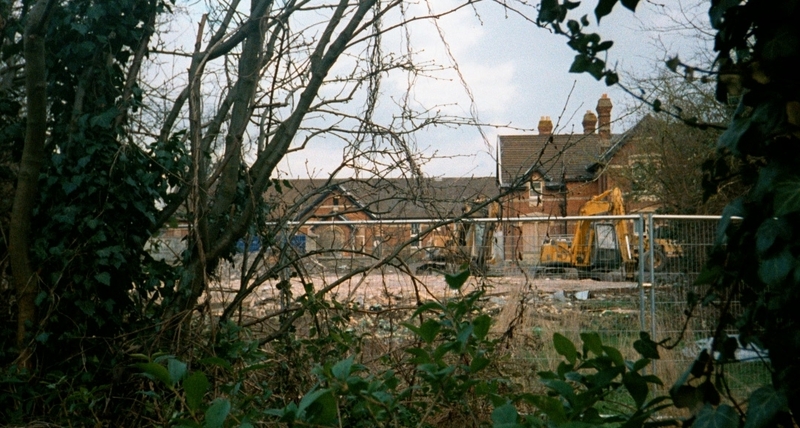 Bradwell Grove hospital, consisting of army huts, has been entirely demolished with some staff houses remaining on Foxwood Lane.